The Northern Rowing Council with the help of British Rowing set up the Northern Region Sunday League series in 2012 under the auspices of the national Explore Rowing scheme. The series each year has been aimed at recreational rowers, novices, recent graduates of learn to row courses and those returning to rowing after a break. In 2016, the fifth year of the series, we kicked off on 6 March at Tyne United RC under the new name of Northern Region Explore Series (to match other regions). 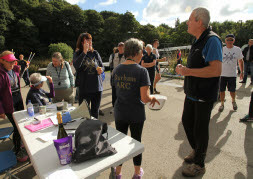 We finished at Durham ARC on 1 October. Tyne ARC’s Fog on the Tyne won the Open category overall and DARC Green won the women’s category. Six events were Splash & Dash with two lane side-by-side racing over a short sprint course; two Skills Head days were planned , which should have comprised a longer time trial with water skill tests interspersed. The sculling event at Tees happened but the sweep skills event was cancelled due to bad weather..
British Rowing has issued generic guidance on Explore Series events (based, we have to say, very much on this region’s work). Whilst the local rules below are much more detailed, you may wish to have a look at the BR document, especially if you are a host club. In particular host clubs should note they are responsible for making sure there is full insurance cover for their home event under their own insurance policy; this includes cover for damage or loss to equipment borrowed from other clubs. See the document here (pdf). Aims: To be a fun, relaxed and social series of events. Categories: Open & Women’s - but if there are not enough teams entered, only an open league will run. · By email for each event to series entries coordinator – Colin Lawson at colin60lawson@gmail.com with entry form attached - download 2016 form here (xlsx). · Entries close the Wednesday before the event. · All teams from a club must be entered through one contact. o 18+ on the event day (coxes may be under 18). · Each team may consist of between 4 and 6 members - this does not include coxes. · If a team starts with 4 members they may still add 2 more members at later events. · Any combination of team members can be used in different races. · Team members cannot be removed once they have taken part. · Members can only represent 1 team per round, however they may change teams throughout the series. · Coxes can change between races in a round. · New teams may join at any point throughout the series. · Entry cost per round per team £12. 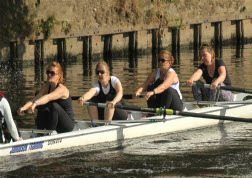 · Each event will be either sculling or sweep rowing in stable coxed quads or fours. · Each event shall either be Splash & Dash racing or Skills Head races. Distance: Approximately 200 - 300 m , maximum 300 m, 1 on 1 racing. · Maximum of 4 races or equal number per team over 4 hour period. · There will be a maximum of 40 races at any event, which will take place over no longer than 4 hours. · 1 point for each win. · You are allowed to substitute team members between races. · Points topped up at the end of the day and added to the league table. · A course map should be provided a minimum of 2 weeks before the event. o Other skills can be added when/as required. · Teams race twice, with the times added up to form the final time. · You are allowed to substitute members between races. · Points will be awarded for the top 4 placing teams. · Points added to the league table. · There is a series prize for the winning Open & Women’s Teams with the most points after the final round. No prizes to be given at single events, to keep costs low. This page last updated 07-11-16.